Muffins are essentially cake for breakfast. For this recipe, you can use any type of frozen fruit you'd like. Preheat the oven to 375°F and grease the muffin pan. In a large mixing bowl, stir the oil and sugar until creamy. Add eggs, milk, and vanilla. Mix until blended. In a medium mixing bowl, stir together the flour, baking powder, and salt. Add the flour mix to the oil and sugar mix in the large bowl. Stir together. 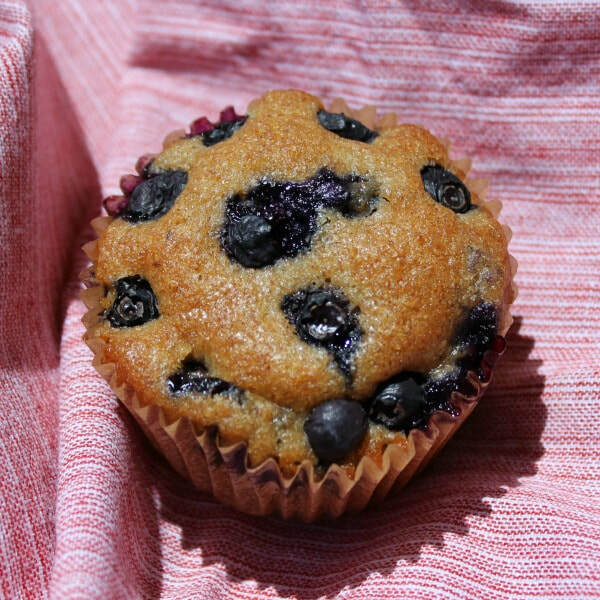 Fill each muffin cup ⅔ full with batter.